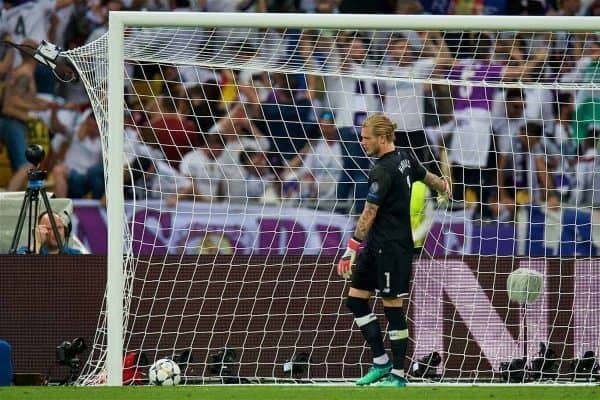 Two glaring errors from Loris Karius sent Real Madrid on their way to a 3-1 victory over Liverpool in the Champions League final on Saturday. The long road to the Champions League final brought the Reds to Kyiv, and Jurgen Klopp‘s side faced off against reigning champions Real. Klopp pulled no surprises with his starting lineup, with Mohamed Salah leading the line on his last opportunity to surpass Ian Rush’s record for the most goals in a single season for Liverpool. That wasn’t his focus, however, with a sixth European Cup the target for Klopp’s side in Ukraine, taking on a Real side unchanged from last season’s triumph over Juventus. Presented with a difficult challenge in the Liga giants, the Reds ultimately crumbled. The Reds began on the front foot, with the Salah and Sadio Mane particularly dangerous and Trent Alexander-Arnold and Andy Robertson providing width on the overlap. The tide did turn on the quarter-hour mark, however, with Cristiano Ronaldo blazing over from a tight angle following a Real break. Liverpool continued to press and put a shaky Madrid back line under pressure, and both Roberto Firmino and Alexander-Arnold had fine opportunities blocked in quick succession. 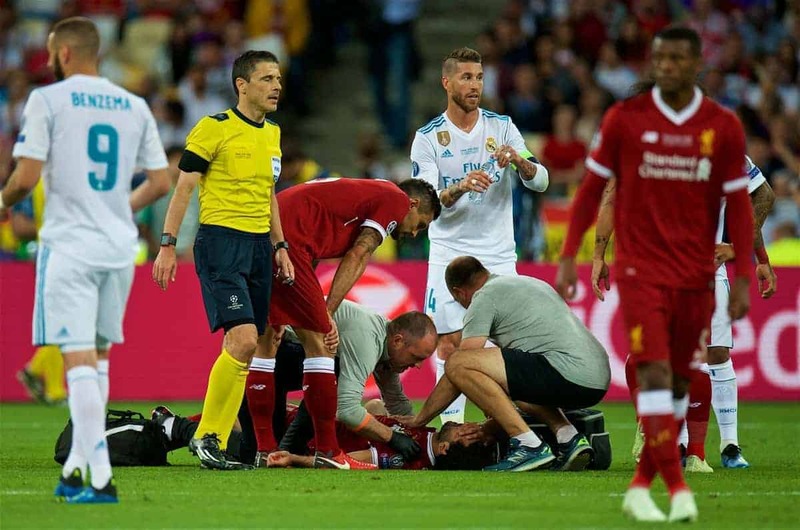 Salah sparked major concerns from the dugout as he went down clutching his shoulder after a tangle with Sergio Ramos, and after attempting to play on he was forced off, in tears, on 30 minutes. Real lost a player shortly after, too, with Dani Carvajal’s departure prompting Klopp to call his entire side over for an impromptu team talk. The Spaniards had the ball in the back of the net after Karius’ parry fell into the path of Karim Benzema, but the Frenchman was flagged for offside to end the half at 0-0. Real almost had the perfect start to the second half after Adam Lallana‘s bundled clearance fell into the path of Isco, but the midfielder’s lofted effort crashed back off the crossbar. But they were handed a gift of an opener by an abysmal error from Karius soon after, with the German’s attempt at rolling the ball out deflecting off Benzema’s trailing foot and in. This could have shaken Liverpool into submission, but they grabbed their equaliser just four minutes later, as James Milner‘s floated corner was headed into Mane’s path by Dejan Lovren to touch home. Zidane made his first tactical change in the aftermath, introducing Gareth Bale in place of Isco to serve as a reminder of the wealth of quality at his disposal. 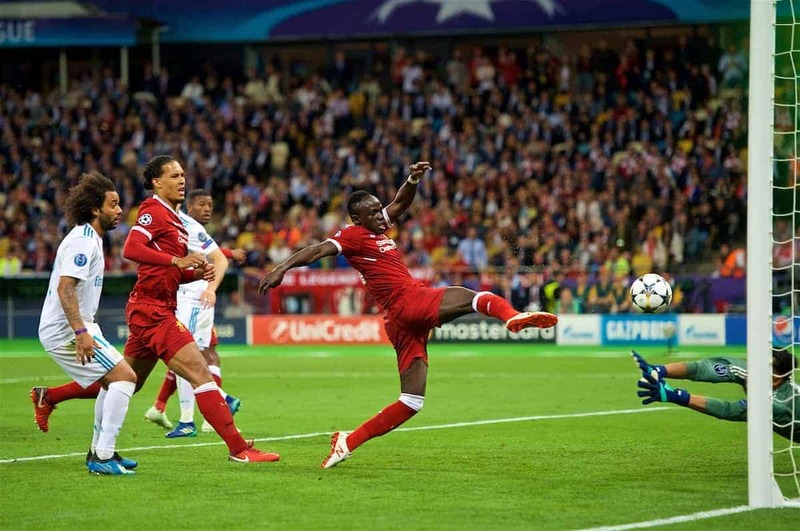 The Welshman rewarded his manager with one of the greatest goals in the history of the Champions League final, sending a sensational overhead kick into the top corner to make it 2-1. Klopp made a late roll of the dice, sending on Emre Can in place of Milner, but seconds later another howler from Karius gave Bale his second and the winner for Real.